Hand Pump effort required depends on the size of the tank you are filling, max pressure you are aiming for, and the weight of your body. At 240 lbs, 2000 psi is easy, 3000 psi is using most of your weight by the end. If you don't have the weight, consider a backpack with weights to boost your pumping ability. Hand Pump - Available whenever you need it. A hand pump or small 4500 psi tanks are great for filling your pcp products up to 3000psi (2bar). They have built in regulators to stop providing pressure at 2800,2900,3000 psi automaticly. If you have a PCP product that can hold more pressure, you need a full sized 4500 psi scuba tank with a low flow unregulated valve. Goes up to 3600 psi. Incl. 11" braided steel hose with female foster quick-disconnect coupling. incl. 20.00" microbore hose ending with quick disconnect female foster coupling. Test plug so you can check for leaks. Gen 4 requires less effort than Gen 3. Field-stripped in 5 minutes for maintenance. Dry-Pac system removes 90% of harmful moisture. Dry Pack quick-disconnect for easy storage. Includes Dry-Pac and a . Manufactured and hand-assembled in England. Each unit 100% tested by Hill before packing and shipping. we have Dry-Pac refills in stock! Yes... 4500 psi HPA/PCP tank refills and the CO2 tank refills. 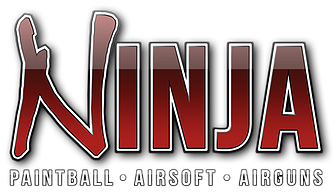 We are now your Massachusetts Ninja Air Products Dealer! Get your tanks and fill your PCP - HPA - CO2 Here. 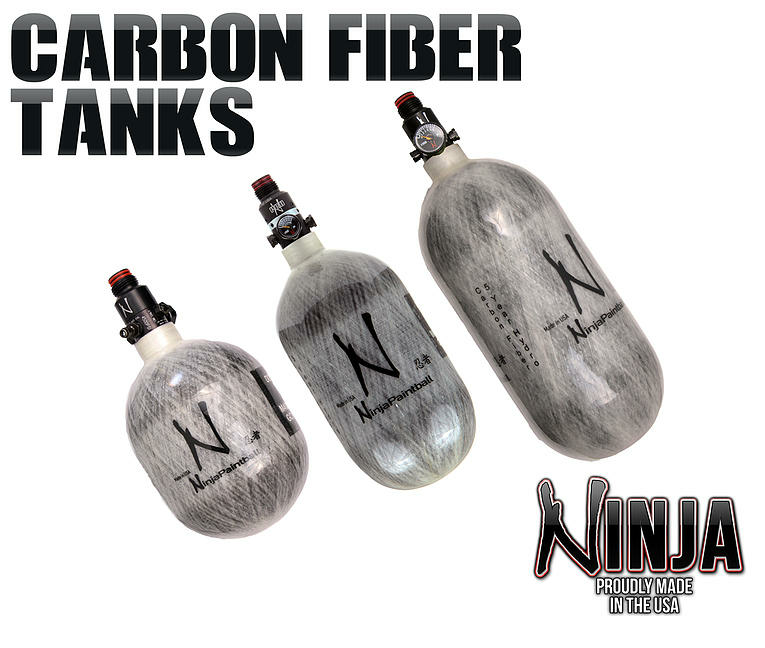 Airsoft - Paintball - Airgun - even construction nailers use CO2 and High Pressure Compressed Air. If you would like to own one of these, we can get them for you! FX Impact, FX Wildcat, FX Cyclone, FX Royale, FX Verminator MKII, FX Bobcat, FX Boss, FX Indy, FX Gladiator, FX Biathlon, FX Independance, FX Monsoon, FX T12, FX Typhoon. Need a small tank with full power..... We have it @ New England Airgun! Get full tank pressure out of your tank and into your airgun! YES, you can fill a 1000 to 4500 psi airgun from a 90 cubic inch tank. Already have a tank with a regulated valve, we can change that to a full pressure valve for you! 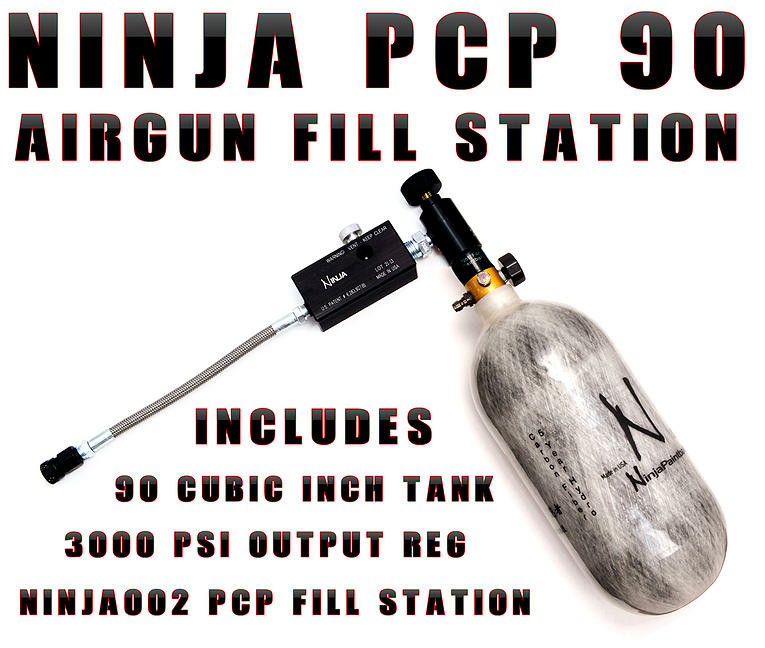 Get your Ninja EZ Pcp, unregulated, 4500 psi airgun refill products here. When you just need more air and higher pressure. The 90 cubic inch tank at 4500psi with 2800-3000 psi regulated output is great for a trip away from home and will give you many shots but what if your new gun holds more than 3000psi... not 2 bar of pressure but 3 bar or 4300psi of pressure to get your full shot count or power from your rifle or pistol? What if you only shoot from your home base or benchrest and you need more volume? Instead of a cubic inch tank, how about a "cubic foot" tank? With 88 cubic feet of 4500 psi air you can shoot all day with your friend and get full fills on your new high pressure air rifles. When you need a refill, we offer a ($20 new empty tank fills) and ($12 top-off refills). If you purchase your tank with us, the first fill is FREE! Yes you can afford a compressor! just ask around, others in your area might be looking for tank refills and you can provide it for them. Turn your compressor into a little business. We will create a page on our site for local fill stations to help you attract customers! Not interested in strangers helping pay for your compressor, then get a few buddies together and split the cost 4 - 6 - 8 ways. 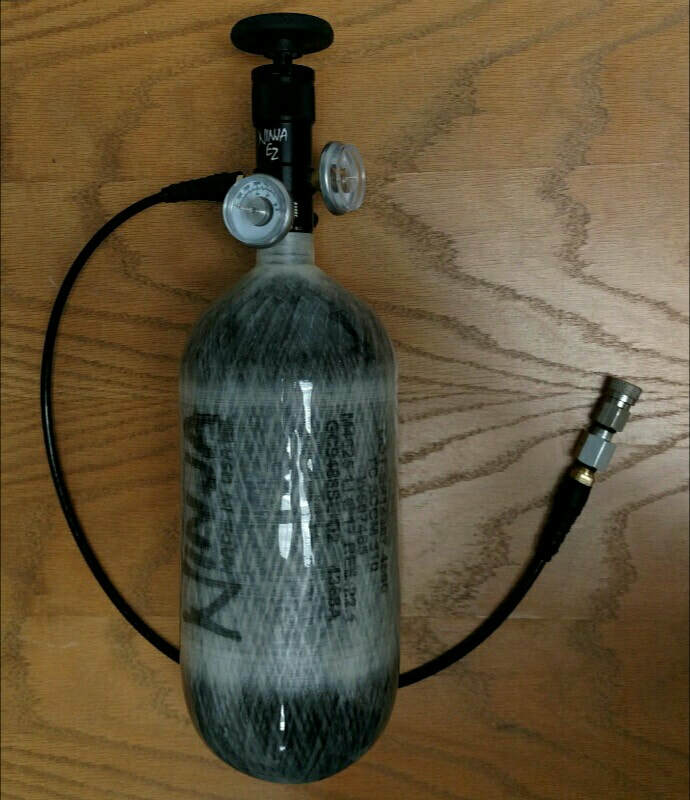 Air Booster to fill your HPA PCP from your existing shop compressor. Shoebox air booster takes your shop air compressor and "Boosts" the pressure up as high as 4500 psi for filling your buddy bottles, scuba tanks, scba tanks or fill your air gun directly from the booster. this is a used unit, missing the front panel but fully functional. 110V electrical outlet, 4500 PSI max pressure, 8 cubic feet per hour output. 125 psi input pressure reduces fill time. Nomad 2 personal air compressor with auto shutoff pressure adjustment up to 4500psi, 110v or220v for home and 12v for your car, lighweight only 17lbs! Air Cooled - only good for filling the tank on your gun, not for bulk refill tanks. The Nomad 2 - it Glows! E-pump compressor by Airforce airguns - charge your pcp up to pressures up to 4500 psi! The Patented E-Pump™ air compressor is designed specifically for PCP airguns. This quiet, lightweight compressor is 4500 psi capable with a fully adjustable cut-off switch. The low current draw allows for 12vDC or 110/220AC operation. Weighing only 40lbs this compressor is portable and allows for use at home from a standard wall outlet or in the field from a 12 volt car battery. It is so quiet, you can barely hear it operating in the same room. No oil or water is needed as this pump generates little to no heat. When time of the essence, the Turbo Charger gets it done. Building on the Super Charger Platform, the Omega Turbo Charger utilizes a dual piston technology to reduce the fill time by HALF! The automatic shut off is easily set by the twin indicator arms in the extra large easy to read pressure gauge. When the desired pressure is reached the compressor shuts itself off automatically. An auto bleed system is also programmable to any duration and interval that air quality and humidity may require. With these user friendly features one can attach his or her air cylinder or airgun push the on button and go eat dinner or watch television. The compressor will bleed off all moisture and shut down when filling is complete. No other unit can match the Turbo Charger for ease of use and protection of equipment from corrosive moisture as well as quiet operation. An hour meter is also included to alert the user of regular service intervals. The Turbo Charger is encased in a red carbon fiber finished, all-metal case that protects the compressor from the elements as well as adds a touch of elegance to the appearance. Included is a carry handle for portability, a tool kit with spare parts and lubricants, a three foot long filling hose and a female quick disconnect. A one year parts and labor warranty is supplied by Raptor Pneumatics. 110V Power, 4500 psi Output, Easy Adjust Pressure Shutoff, Water and Air Cooled, Self-Sufficient Design, Self-Serviceable, Dual Piston Design (Double Output), Hour Log Service Meter, Programmable Auto-Bleed System, Easy To Move Casters, Tank Support / Carry Handles, Timed Grease Indicator.